RALEIGH — A dozen coastal communities now have funding to improve public access to coastal beaches and waters. Gov. 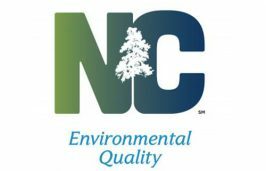 Roy Cooper announced Tuesday that more than $1.1 million in matching grants from the state Division of Coastal Management in the North Carolina Department of Environmental Quality will go to improve beach and water public accesses for 12 communities in the 20 coastal counties. 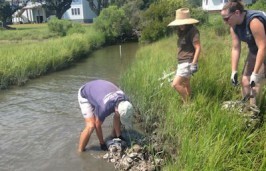 The Public Beach and Coastal Waterfront Access program provides funds to coastal governments. These governments must match the grants by contributing at least 25 percent toward the project cost. DCM staff select the recipients based on criteria set by the state Coastal Resources Commission. Atlantic Beach: $47,852 to replace an existing beach access boardwalk with one compatible with the Americans with Disabilities Act, or ADA. Bald Head Island: $19,160 to create an ADA-compatible access site for South Beach. Cape Carteret: $114,750 for the purchase of a 1.47-acre property to provide access to Pettiford Creek. Edenton: $110,000 to replace a bulkhead at Queen Anne Park. Elizabeth City: $138,000 for a floating dock, kayak launch, fishing pier, additional parking and amenities at Coast Guard Park on the Pasquotank River. Gatesville: $36,800 Bennett’s Creek Park renovations, including a pavilion, boardwalk and kayak launch along Bennett’s Creek. Holden Beach: $16,335 for dune crossover construction at Ocean Boulevard West. 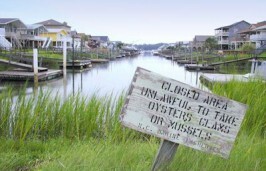 Manteo: $95,376 to renovate the downtown boardwalk along Shallowbag Bay. Nags Head: $122,226 to construct an ADA-accessible dune crossover, parking and other amenities at the Jacob’s Street ocean access. New Bern: $97,500 to construct a kayak launch with an ADA-compatible floating dock, parking area and restroom at Martin Marietta Park on the Neuse River. Pasquotank County: $84,000 for renovations to the Pasquotank River Boardwalk. Plymouth: $107,500 for renovations to Waterfront Park, including handicap parking improvements. Wrightsville Beach: $187,500 for the construction of the East Salisbury Street Oceanfront Park with restrooms and shower facilities. 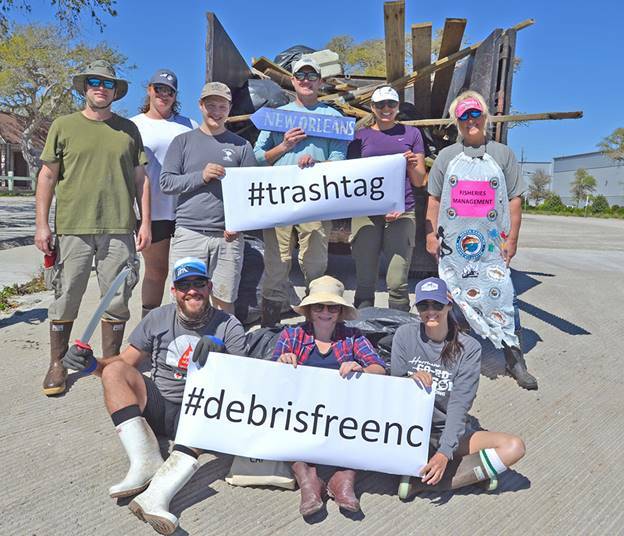 The North Carolina General Assembly through the state’s Parks and Recreation Trust Fund funds the grant program. The funds can be used on access projects such as walkways, dune crossovers, restrooms, parking areas, piers and related projects as well as land acquisition or urban waterfront revitalization. Since beginning in 1981, the grant program has provided more than $45 million for more than 440 public waterfront access sites.